Travel is one way to check the popular places of a certain area, recreating memories to keep for a long time and keeping friendship alive. It is also one way to familiarize a favorite place one last time - before I move on to another place to wander in this life. A few days before my scheduled flight to Mindanao, my friend and I embarked on a really simple way to enjoy walking around the metro. 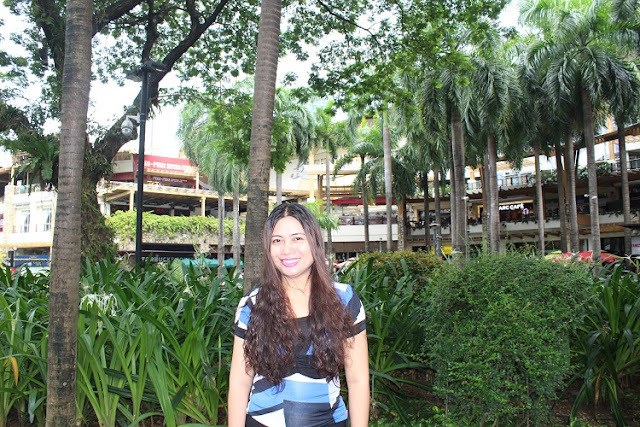 We walked through the secluded park of Greenbelt Mall in Makati City just like other people who visited the place. It wasn't a time for me to go shopping because I already prepared everything I need before my plan to leave the city. So I just want to stroll in the park with my friend. Greenbelt Mall is actually composed of five contemporary buildings and is nestled at four popular areas such as Makati Avenue, Paseo de Roxas, Arnaiz Road and Legazpi Street. Each building is numbered from one to five and has distinctive design as compared to others. Simply put, each building has a unique style and architectural design. The mall is open daily and the shops are open at 10:00 AM. The closing time is 10:00 PM. There is a small catholic chapel at the central part of the mall that is surrounded by five buildings. It is really a serene place for an afternoon walk, except those hours that they schedule concerts for shoppers, just like the last time I was there with my friend. I already sent my things through cargo or waybill so I only have a few clothes left for me. For this day out, I donned a black A-line skirt and a blue and black blouse. 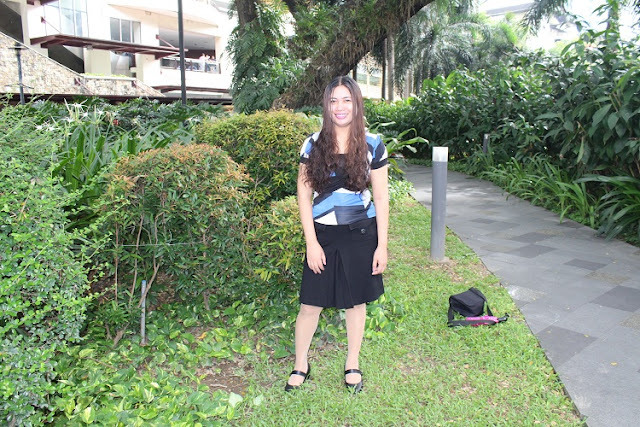 I simply finished off the outfit with a pair of black Figlia shoes and a simple makeup. I used to visit this place with my husband. 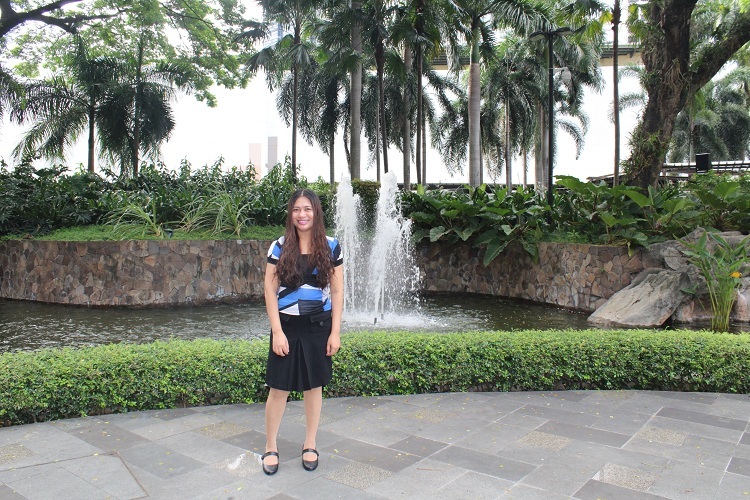 My favorite building is Greenbelt 5 because of the affordable movie tickets that they offer to their guests. I've watched The Hunger Games film at the said movie and shopping haven. It is also located near the lush garden that is perfect for picture-taking. I am fond of the fish pond, too. The pathway leading to it is surrounded with orchids that really caught my attention. There are cats around the area and I even saw them taken cared of by a group of people. There are a lot of people walking from one pathway to another during weekends so I make sure that we visit during weekdays. There are many restaurants around Greenbelt in Makati City. Since I am a seafood lover, I prefer dining at The Red Crab Alimango House located at Greenbelt 3. I usually dine at the said place with my friends in the office.